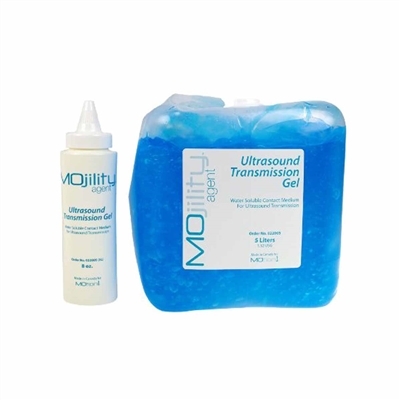 Mojility Ultrasound Gel is a medium viscosity gel (80,000-100,000cps) that is designed for both diagnostic and therapeutic medical ultrasound procedures that call for a viscous ultrasound gel. Comes with 8 oz dispenser bottle. The Mojility Ultrasound Gel is a medium viscosity gel (80,000-100,000cps) that is designed for both diagnostic and therapeutic medical ultrasound procedures that call for a viscous ultrasound gel. This ultrasound gel is salt, perfume, and alcohol free. In addition, it is simultaneously conductive and non-corrosive. This formula does not contain any propylene.